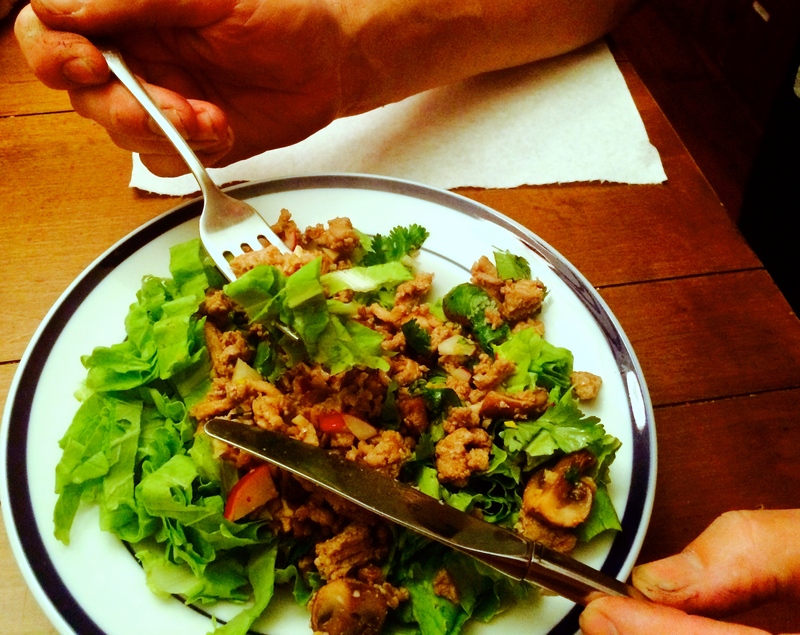 Larb is a popular Thai salad of highly seasoned ground meat and herbs. It’s a lovable mix of spicy and sweet, but Elaine and I agree they should find a more appetizing name for it. 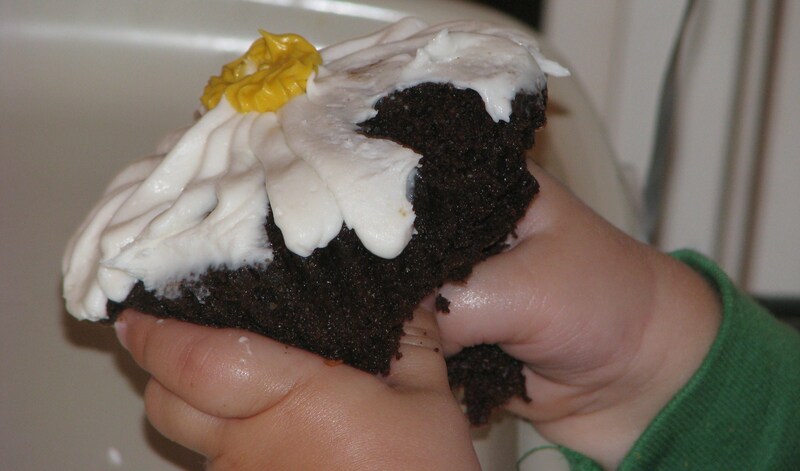 My version includes our organic radish, and tender baby napa cabbage, but any of the ruffled greens could be used. Chopped into ribbons they are a cool crunchy complement to the spicy meat. 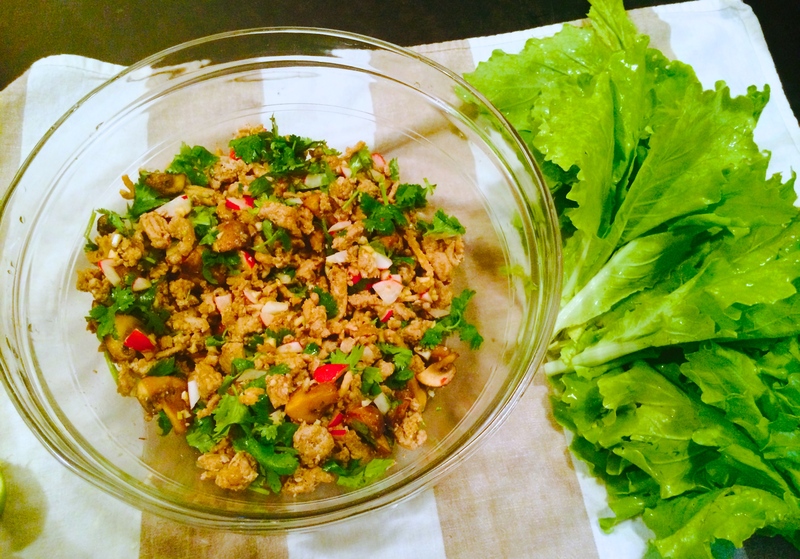 My larb also is made with ingredients that are easy to find. That’s important to me because what good is a recipe that lays on my desk while I go on the hunt for “Thai bird chiles” or “gochugaru”? That is an actual thing, by the way. I am not making that up. Lastly, I love learning new things. 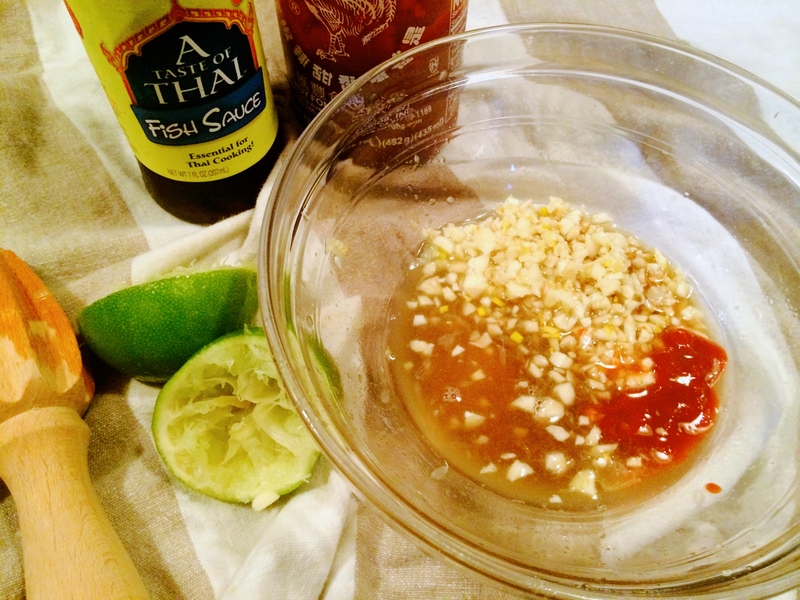 Not only was larb new to me, but I learned how delicious a little sugar on minced garlic is! The gritty sugar helps the garlic to mince up finely, but then it also picks on the garlic’s natural sweetness. I may always sugar my garlic cloves from now on. Heat pan over medium-high; sauté the mushrooms and onion in butter until softened and browned. Add turkey and cook until browned, about another 7 minutes. Stir to crumble. Place garlic on a cutting board and sprinkle with sugar. Mince. Add meat mixture. Toss and cool a little, then add cilantro and radish. Place greens on a platter and top with the meat mixture. NOTE: If you have basil, mint, and/or cucumbers, please feel free to chop and add too – all of these things are friends of larb. This is great served at room temperature and the meat mixture keeps well in the fridge. 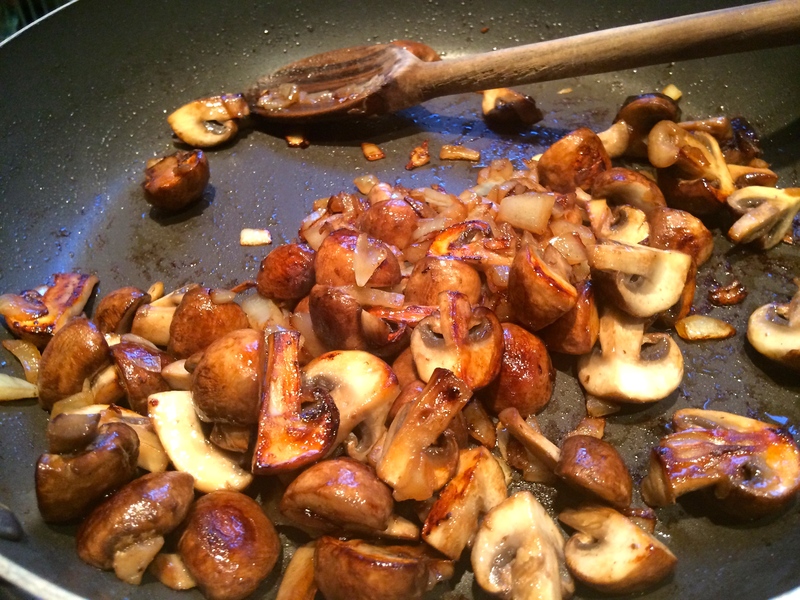 Yum on the photo of browned to perfection mushrooms in pan!